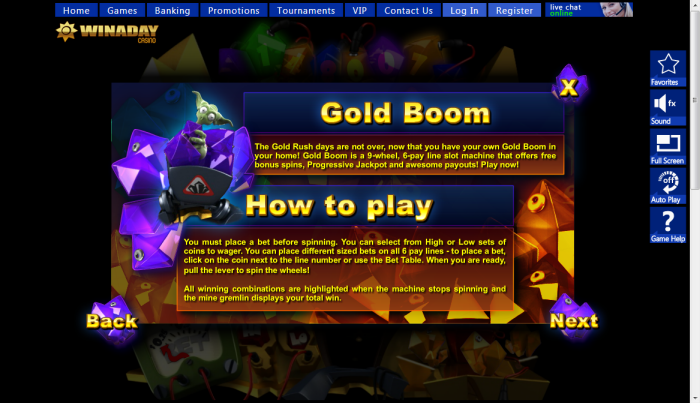 Overview: Gold Boom instant play casino game has 3 reels and 6 paylines, which makes for fun and uncomplicated play. 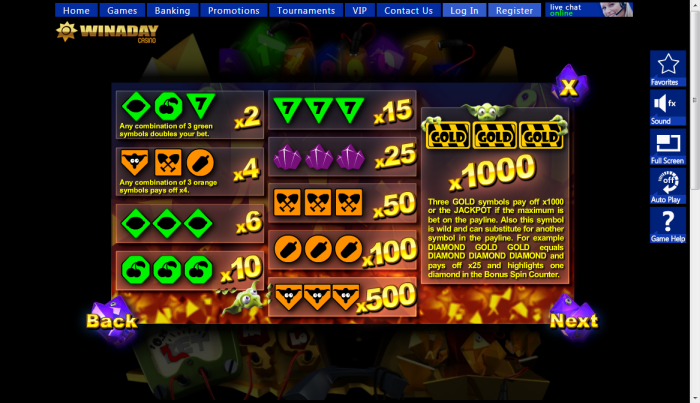 You can win a maximum of 1000 times your bet in the regular gameplay but the progressive jackpot will await you if you bet max on the payline that hits three Gold symbols. The diamond icons are the symbols to watch out for as they trigger the special feature in this game. 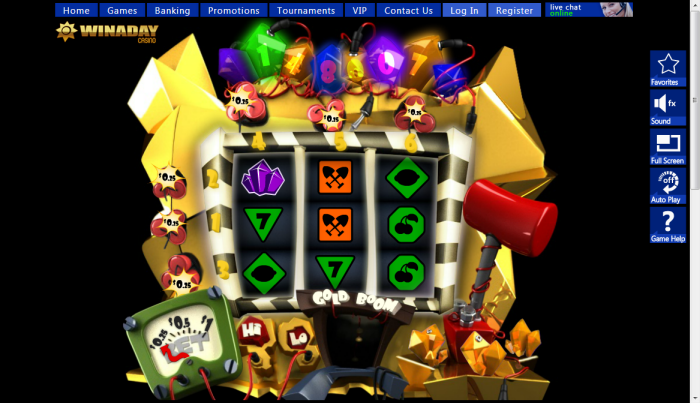 There is something known as the diamond meter, and every time 3 diamonds appear, the diamond meter starts filling up. 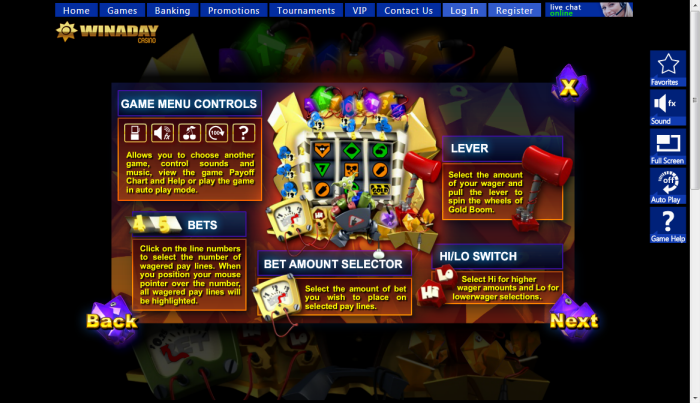 Once the diamond meter is filled up, you get three free spins. 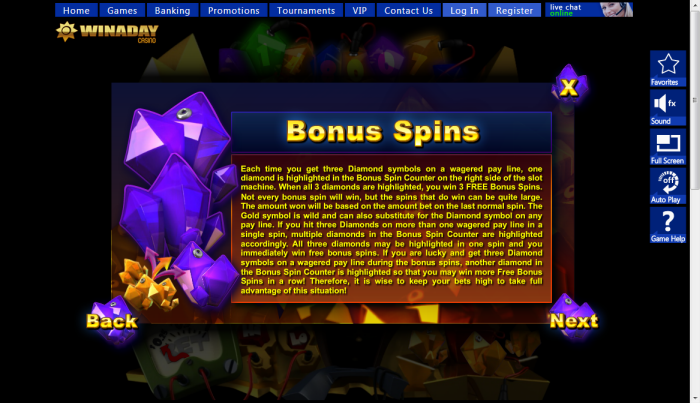 For every three diamonds in the bonus free spins, you get an extra free spin as well. 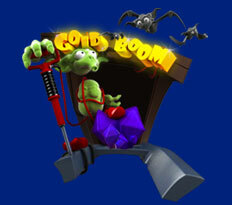 Similar Slots: If you like Gold Boom, you might like these other slot machines from Win A Day Casino: Haunted, Pyramid Plunder, Touchdown, Vikings, Wild Alaska.